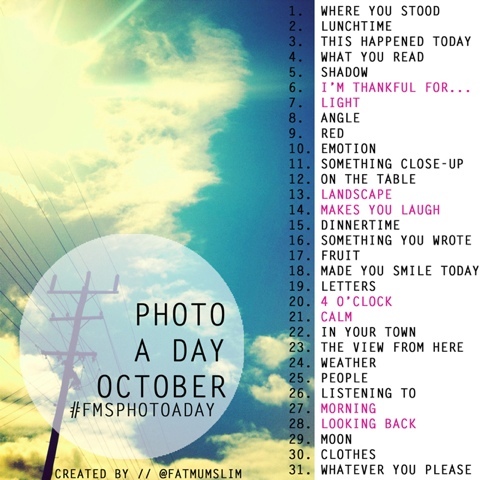 I try to make a solid effort to do the photoaday each month. I haven't been successful every month, but I'm on my way to completing a second full month. These photoaday challenges are a lot of fun. For those using Instagram definitely look up fatmumslim and give it a go!